Total Property Maintenance For Home, Rental, Commerical, Residental, and Property. Excellence-Inc. offers you and your business all your commercial maintance needs. From janitorial, to landscaping we can do it all. Give us A call and Ask us about our year long contacts and services. 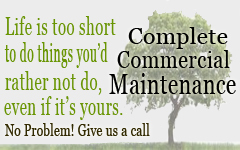 Ask us about our yearly contracts for peace of mind. Dependable, professional and trusted are words synonymous with each of these businesses throughout Tillamook and Lincoln Counties. Excellence Inc provides complete commercial & residential property maintenance services for Salem/Keiser, McMinnville, Sheridan, Dallas, Monmouth, and the North and Central Oregon Coast, including the cities of Tillamook, Pacific City, Lincoln City, Depoe Bay, Newport and Waldport. Locally owned and proudly operated by Greg Wescott and family; Excellence Inc is a one stop shop for businesses and homeowners who are looking for dependable and professional maintenance services. From commercial janitorial, painting, roof repair, to window washing and animal control, Excellence Inc. and our umbrella of companies have the professionally trained service personnel to accommodate your business or personal cleaning or maintenance needs. Call us today! The Companies of EXCELLENCE, INC., Rent-A-Hubby, Window King®, and Rent-A-Wife have become household words on the Oregon Coast. Dependable, professional and trusted are words synonymous with each of these businesses throughout Tillamook and Lincoln Counties. To countinue reading click here. 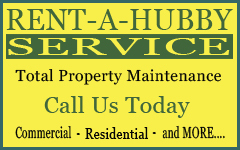 RENT-A-HUBBY is a total property maintenance service, with a focus on landscaping and gardening. As a experienced gardener himself, Greg's passion for maintaining a showcase yard runs deep into his past. 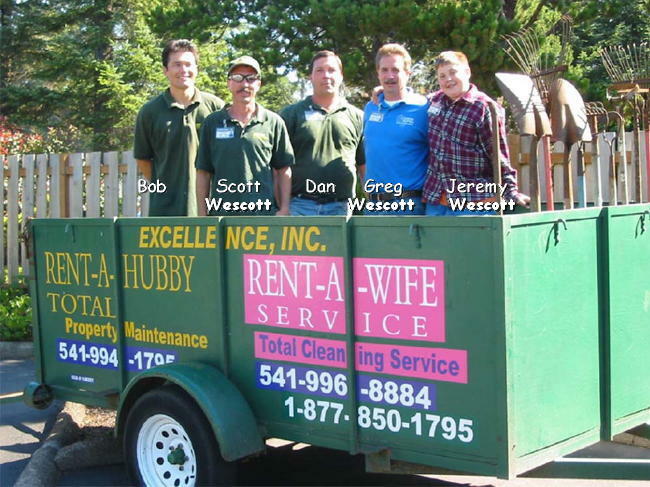 Rent-a-Hubby has grown exponentially in Lincoln City, Oregon and the surrounding areas as a result of our reputation for providing quality service. For more info click here. 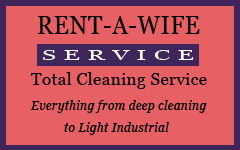 Rent-A-Wife staff customize your cleaning service to fit your needs. They can do any combination of cleaning, dusting, polishing, scouring, scrubbing, sweeping, moping and vacuuming for each room in your home or office. Plus, we designate certain rooms for special attention on each visit. Want to read more click here. Our communities along the Oregon Coast, from Tillamook to Newport, feature residential and commercial buildings designed to take advantage of our beautiful local scenery. However, these unique constructions often face large challenges when it comes to maintaining their windows. We created Window King to help. 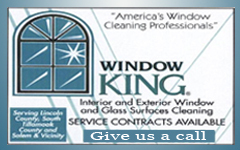 To learn more about Window King, click here.click here. 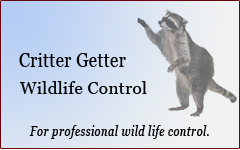 Critter Getter Wildlife Control is a premier pest and wildlife control specialist in and around Lincoln City, Or. We offer comprehensive bug, rat and infestation control services for both residential and commercial customers. From cockroaches and termites to rats and other rodents, we can handle even your toughest animal and pest control problems. Wait theres more click here. 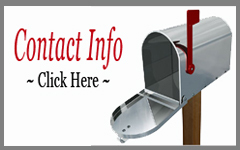 Or click here to be reloacated to out email form. The Companies of EXCELLENCE, INC., Rent-A-Hubby, Window King®, and Rent-A-Wife have become household words throughout Tillamook County to Central Lincoln County. Dependable, professional and trusted are words synonymous with each of these businesses. Greg proudly claims Excellence, Inc. as a family owned and operated business. Excellence, Inc. consistently provides superior grade service to their customers. Greg's young son, Jeremy Wescott, tragically passed away in 2007 at the age of 16. Greg operates all his businesses in loving memory of his son. Wescott insures that his companies provide quality service by hiring good people, ongoing on-the-job training, and personally setting an example of professional development. Over the span of the last 15 years, Greg has earned a AA in Business Management and Psychology. Add to those accomplishments the completion of an accounting program, a 2-year Small Business Management Certification, and the distinction of being a Certified Master Gardner from Oregon State University. Currently a Home Inspection Course from Cornell University draws his attention and study. All employees are covered by Workman's Compensation. For your safety and peace of mind all employees of Excellence, Inc.
© 2015 Excellence-Inc. Webmaster Powerded By, Tillamook Designs , JRC.